After a 4-week marathon and 4-day sprint (as you know by now I work on a 4-week cycle), I published our August issue on Wednesday night. I created this issue being inspired by Louise Dear, the British contemporary artist, who thrives on life’s challenges and “thinking outside the box” mentality. Such a great interview for anyone “being lost” or struggling to find their path or career. Life is about finding who you truly are and reaching your potential on the way. Yes, it’s little bit woo woo but doubts, fear and failure shouldn’t stop you doing just that. As usual I couldn’t create this issue without the brilliant help of my contributors and writers who are on this journey with me and who totally believe in the High In Style’s mission. We want to inspire women to be brave and follow their dreams. There is no “it can wait” or “there is always tomorrow” for us. Start TODAY!! How?? 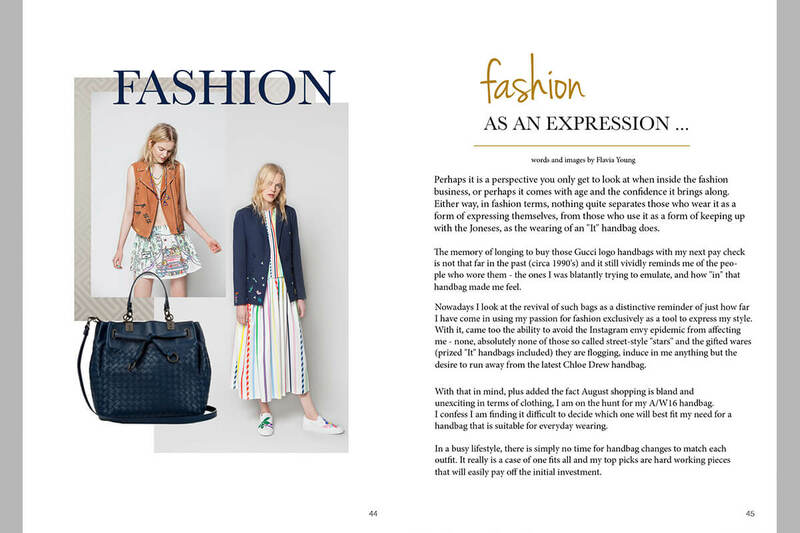 Read the issue here for inspiration. 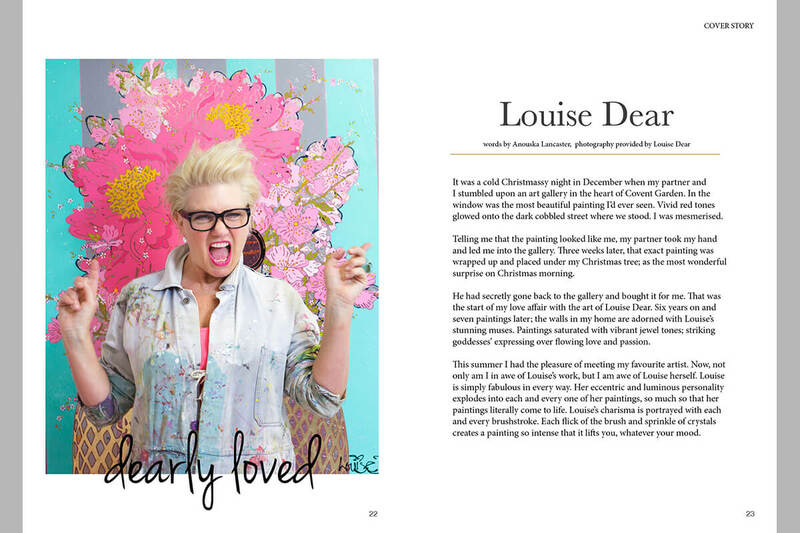 Our design contributor Anouska Lancaster talked to Louise Dear, our cover story. She has such an incredibly positive view on life, it’s infectious. An amazing interview with so much wisdom. This section is all about linking home decor with wardrobe. To show that colours affect us on many levels. But there’s more. 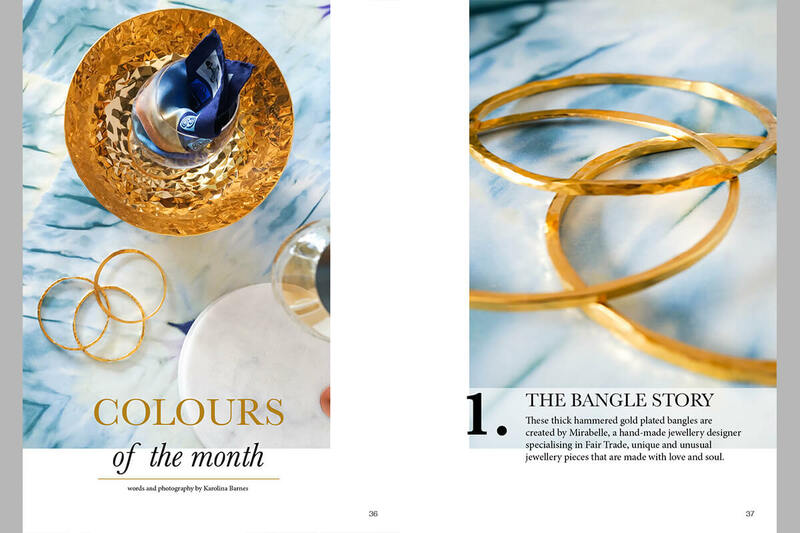 It also features creative design and showcases independent British brands, artists and designers. This month I was inspired by the sea. I came across this beautiful wallpaper at Reed Harris and that was my starting point for the curation of these beautiful British products. 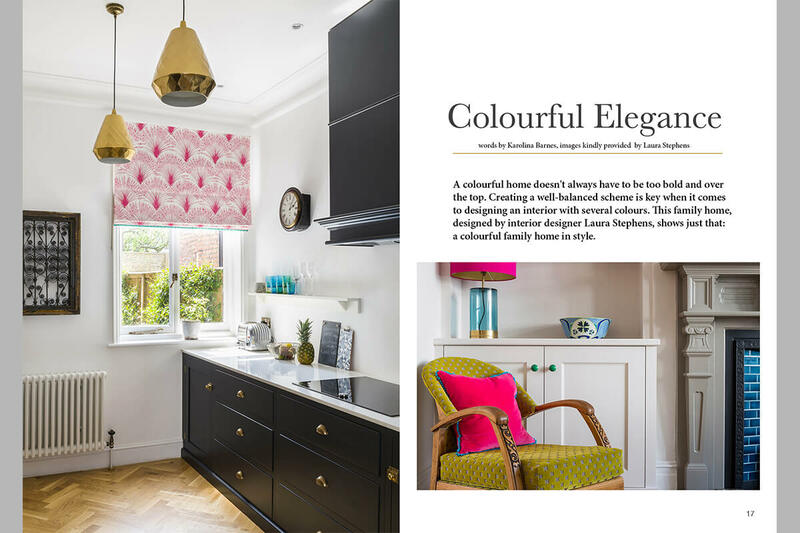 When I saw this beautiful London home on Instagram, I thought..what a great case study on how to do colours with elegance this is. I was so pleased when Laura from Laura Stephens Design replied to my email request. I was literally jumping up and down with joy! You must see it! It’s under the interiors section. Our fashion editor Flavia talks how not following the herd in fashion liberates you from all the image expectations we all put on ourselves now and then. Remember, it’s about your own style. 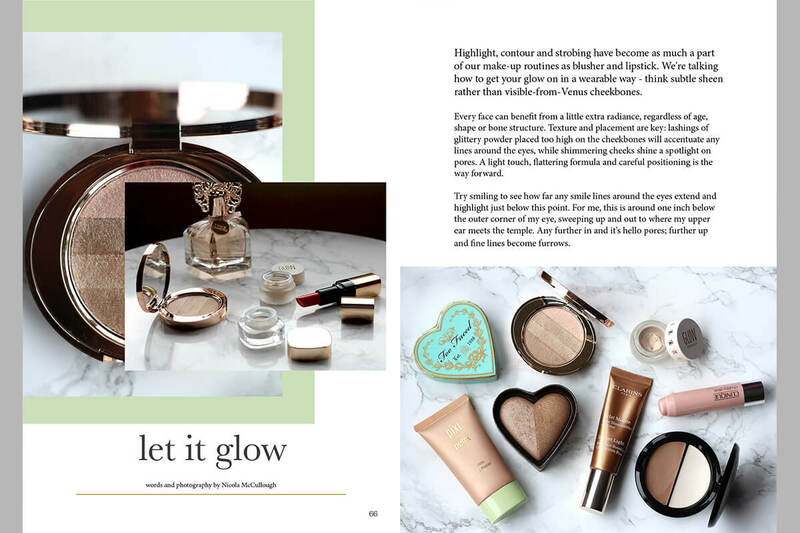 Our beauty editor Nic talks about “summer glows” but doing it chic! Yes, the beauty world is spinning around highlighting and contouring but please, let’s do it in style and with class. We’re not 20-something anymore. Learning and self-development is what life is about. 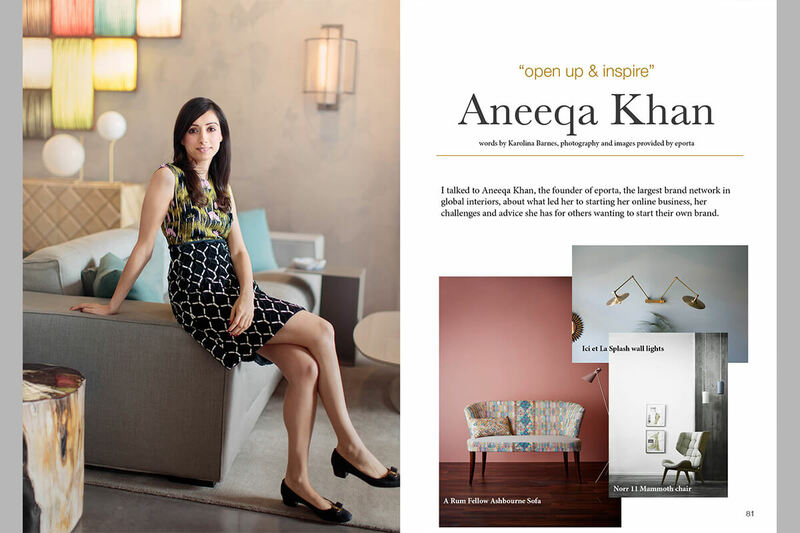 ..says Aneeqa Khan, the founder of eporta. If you haven’t heard of eporta, it is a global platform in the interior design world. She came up with the idea of “simple online sourcing” for trade out of her personal experience, when she was renovating her first flat in London while working full time in the corporate world, and found how hard it is to find products within her budget but that aren’t mainstream. After talking to professional trade within the industry, she realised that they experienced the same problem on a daily basis and so she set up eporta. If you haven’t got much time on your hands, flick through the issue but take a few minutes to read this interview. It may be a game-changer for you!! Plus, don’t forget to check out Mira Mikati’s collection (cover photo). It’s so fun, colourful yet sophisticated! Happy vibes!